Kukio, nestled on the beautiful Kona Coast, is paradise in action. It’s not the Big Island’s most exclusive neighborhood for nothing: it’s an enclave boasting of the first private equity Golf and Beach Club in the state, and it’s open only to homeowners and their expected guests. On the Big Island, the Kukio Golf and Beach Club is a breathtaking oceanfront setting where private members can bask in sunshine, enjoy a drink at the bar, feast on the ocean’s bounty at the dining pavilion, or dive into a range of watersports center and facilities. One can also simply have a relaxing time at the indoor/outdoor spa. The resort clubhouse is tucked inside a Tom Fazio signature designed, 18-hole championship golf course. 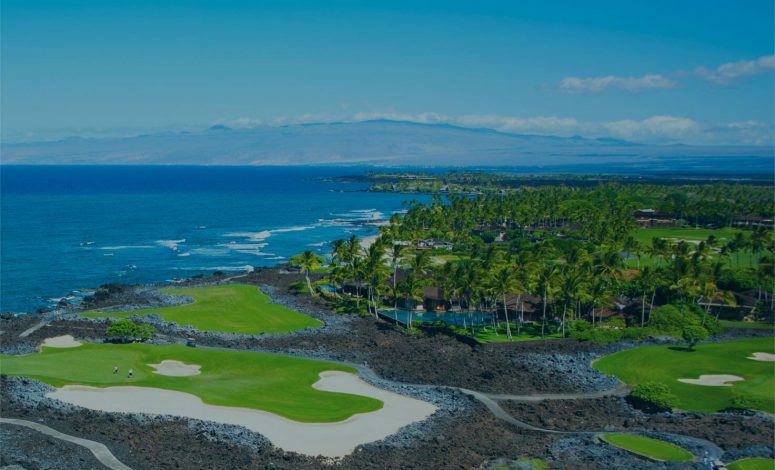 The golf amenities can stand on their own, but it’s as if the divinities came down from heaven to add panoramic views of Maui, the mountains, and the coastline to the already wonderful mix. The Main Campus, about 330 acres in size, offers the bulk of Kukio’s A-grade amenities as well as a 10-hole short course. One can find all the Cottages in this area. Maniniowale, the second phase, sits directly above and is set back about 1,500 feet from Kua Bay. Its home sites overlook the bay and its natural wonders. The final phase called Kaupulehu brims with oceanfront and second tier lots. At present, homes are valued from $4 million to more than $10 million in this billionaire getaway that finds residents in some of the biggest names in the tech, legal real estate, and business arenas. Kukio’s exclusivity amid pristine surroundings sounds nearly unimaginable, but wait until you get to the juicier specifics. Its own luxury community has an on-site farm, where restaurants obtain fresh produce daily. Relish the thought: it’s the Yuletide season, and bees kept nearby are feeding off the coconut palms and berries for their fabulous harvests of honey. Unbelievable? It will be, until you get whisked into the dreamy island by the private flying club.